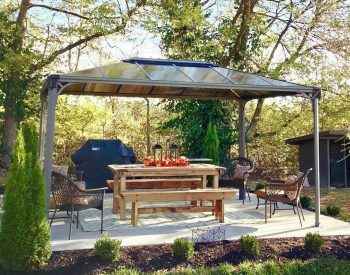 The MILANO 3000 GAZEBO is the perfect finishing touch for your outdoor living area – offering a solid and attractive shelter for barbeque and poolside situations. 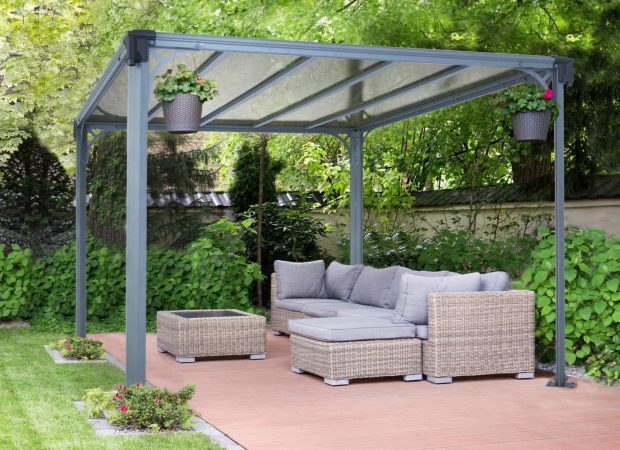 Designed for durability as well as elegance, the MILANO 3000 GAZEBO combines high quality aluminium extrusion and steel componentry powdercoated in BASALT GREY with virtually unbreakable BRONZE 6.00mm Twinwall polycarbonate glazing which is UV-stabilised. 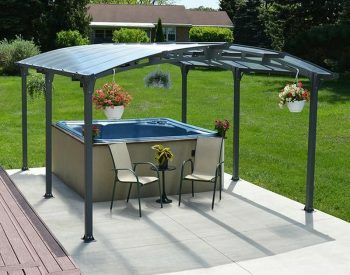 • Simple 2 person DIY assembly – ready to assemble pre-drilled profiles; all screws included. 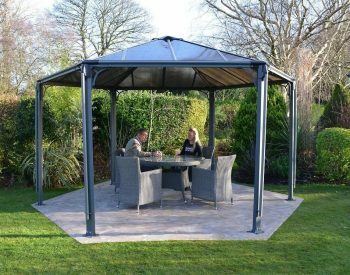 The MILANO 3000 GAZEBO is supplied as an easy to assemble DIY gazebo kit with pre-drilled componentry ensuring that no special tools are required and that the project is well within the capacity of the average DIY installer. 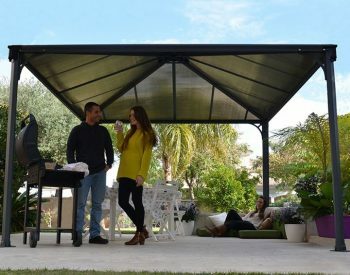 The MILANO Garden Gazebo Netting Set is aesthetically appealing and functional, it will add to your comfort by allowing airflow yet keeping out unwanted bugs. 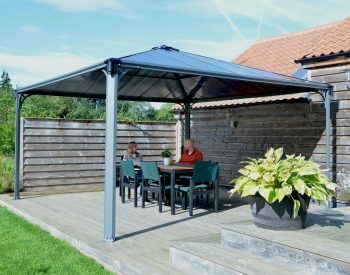 The lightweight polyester screen comes with hooks that slide into the clips at the track line of your MILANO Gazebo. 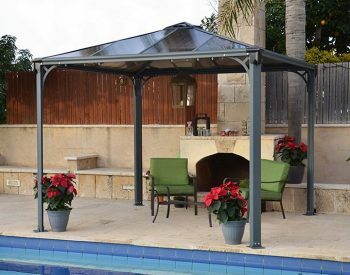 This set contains four screens to cover your entire gazebo; easy to install and easy to use. This set includes zippers to connect the screens together and ties to secure them to the corner posts. No maintenance is required, they can simply be machine washed. • Machine wash cold. No chlorine bleach. Line dry.